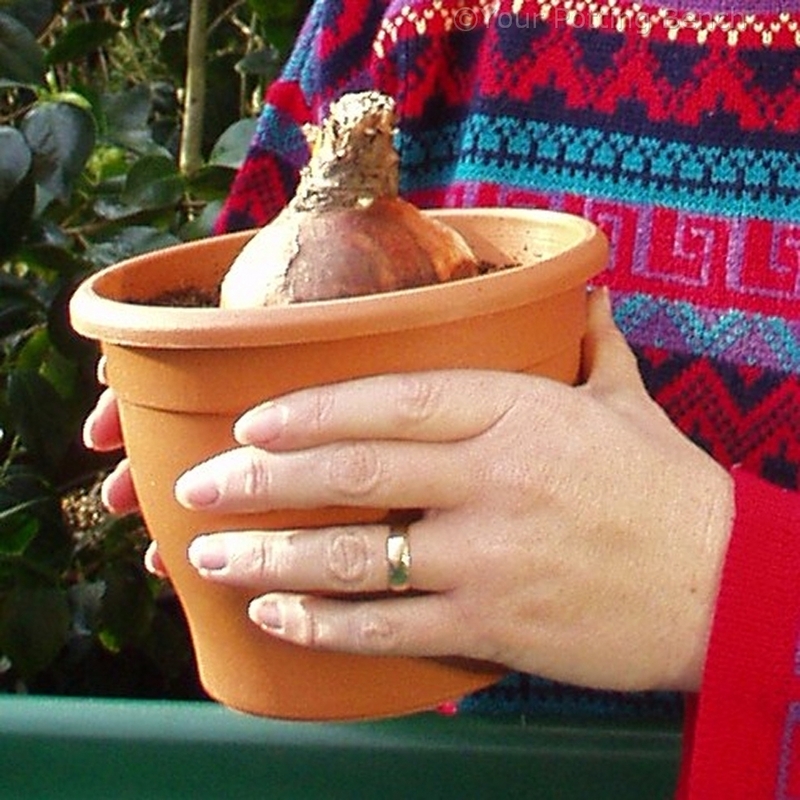 Hippeastrum, known as Amaryllis, are widely known for their gloriously colourful, trumpet-shaped flowers (often 4 or 5 on a single stem). 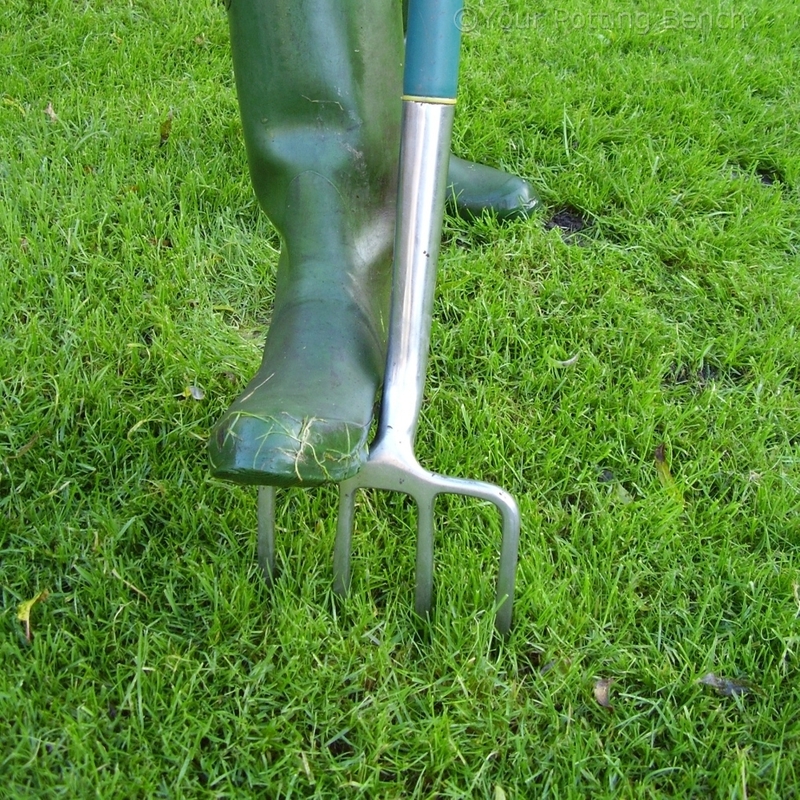 They are so reliable that they are often sold as gifts in the run-up to Christmas. 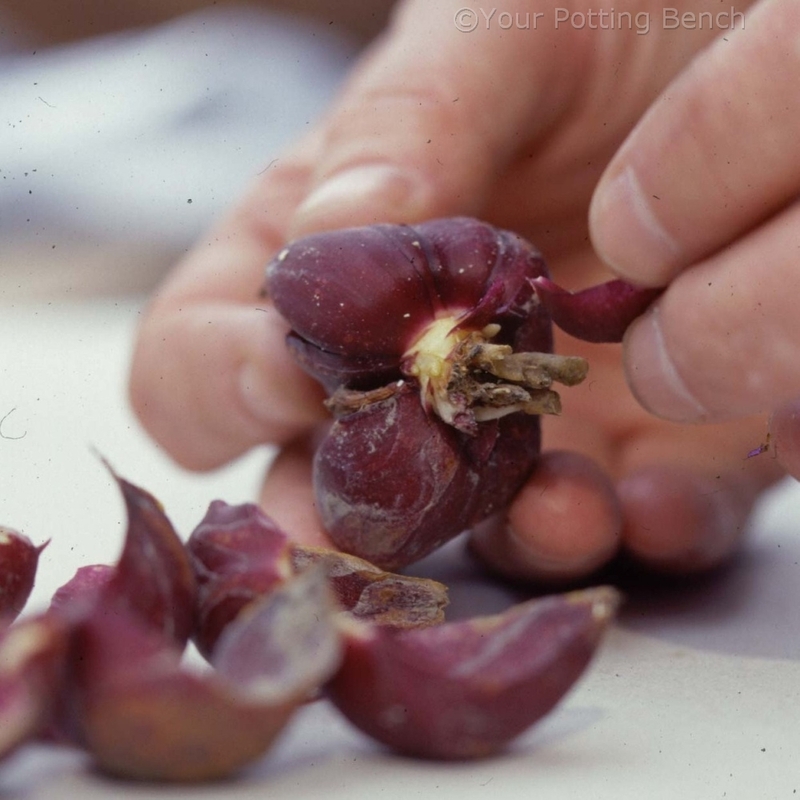 To get the best results, just take a little care as you plant. 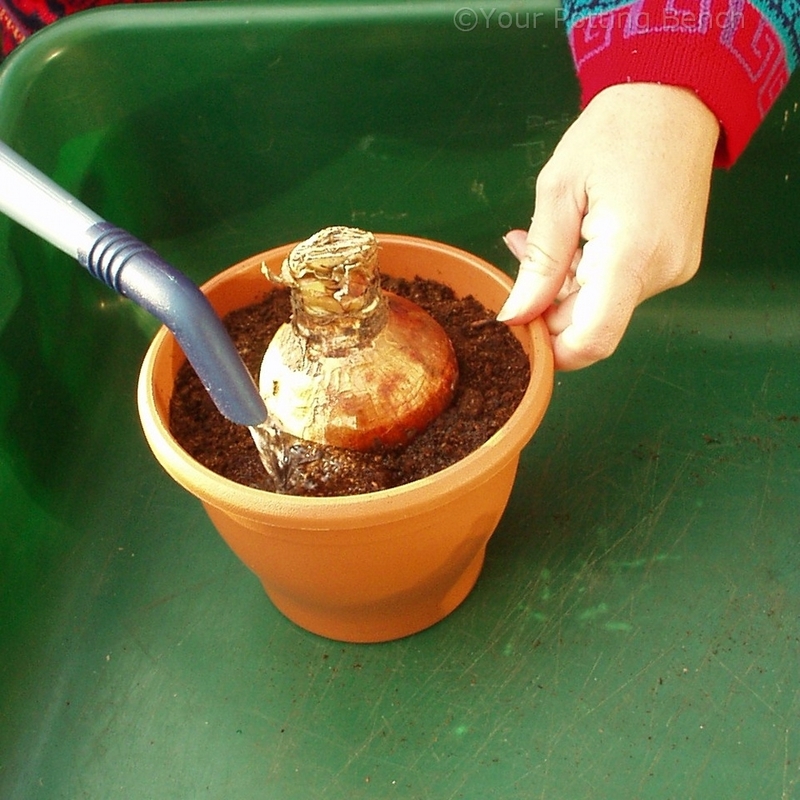 Choose a clean, healthy bulb with no signs of rot and no squashy, soft parts. 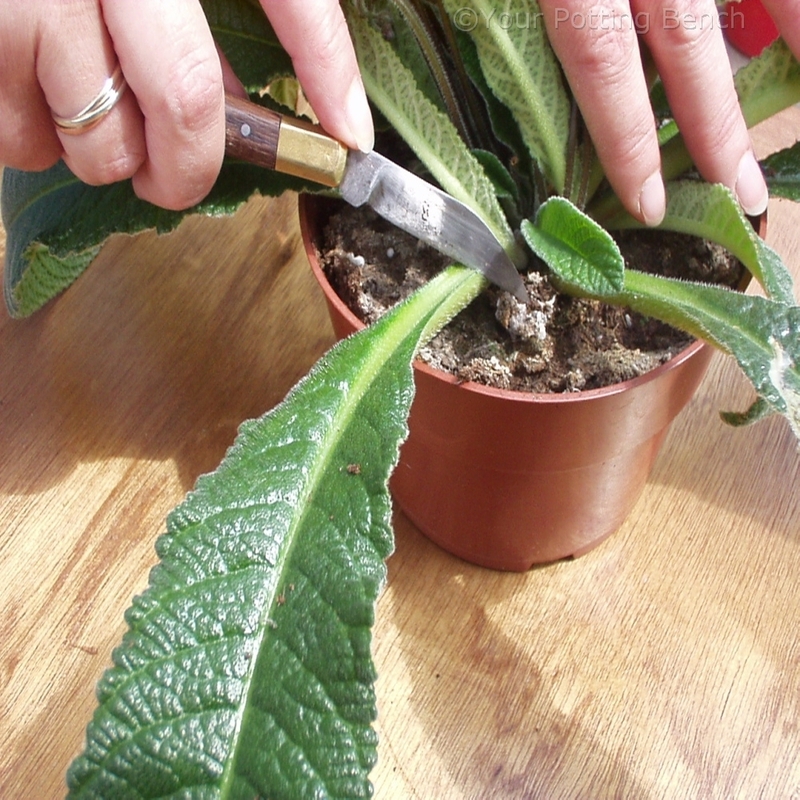 Remove any loose roots. 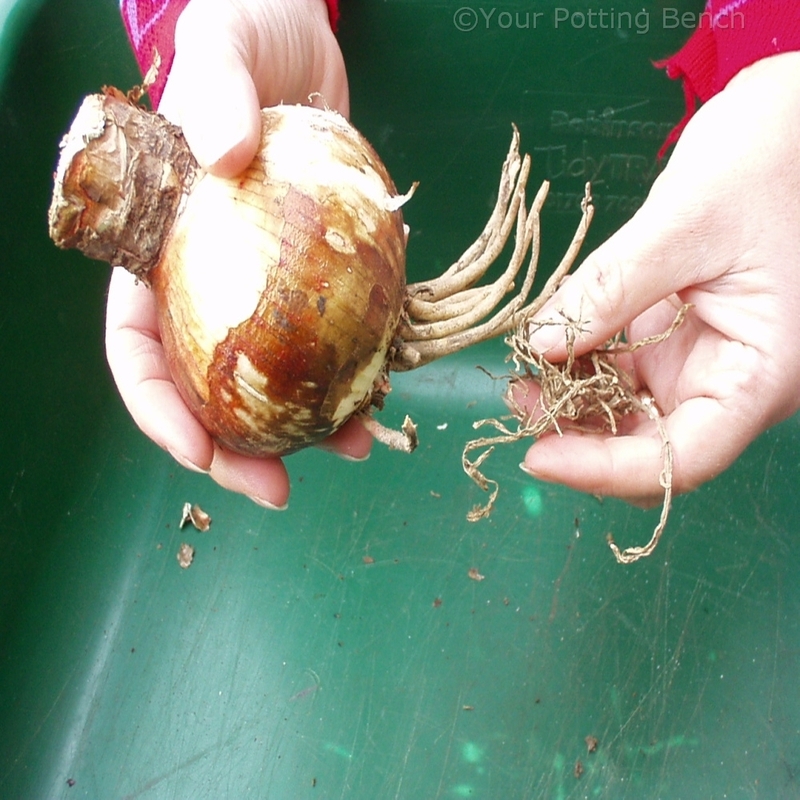 Spread the roots out as you add bulb or multipurpose compost around the bulb in a pot, as in this cut-away. 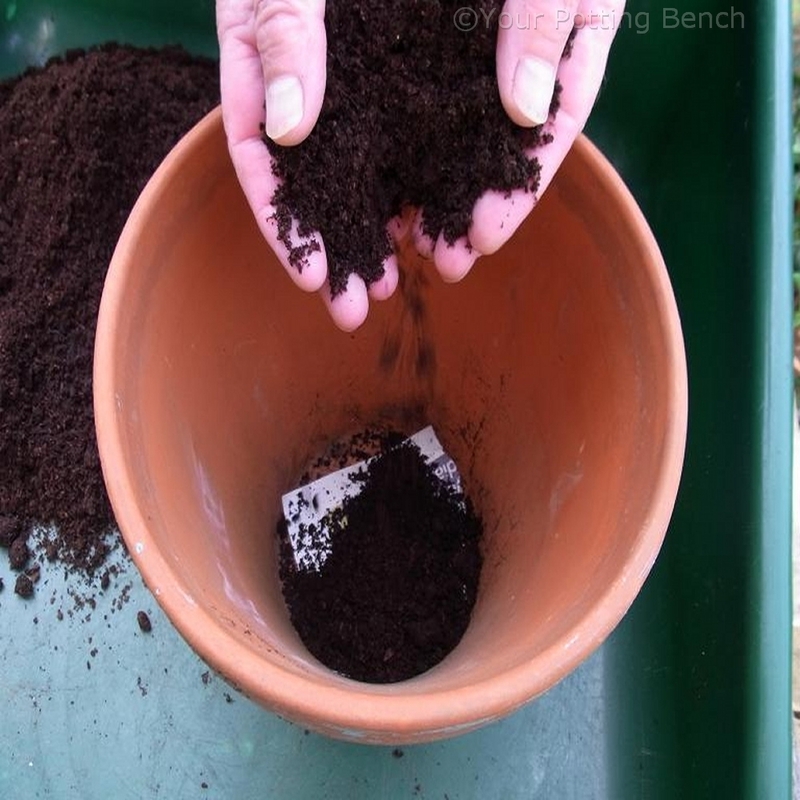 Water gently to settle the compost around the roots, adding more if there are low spots as the water drains. 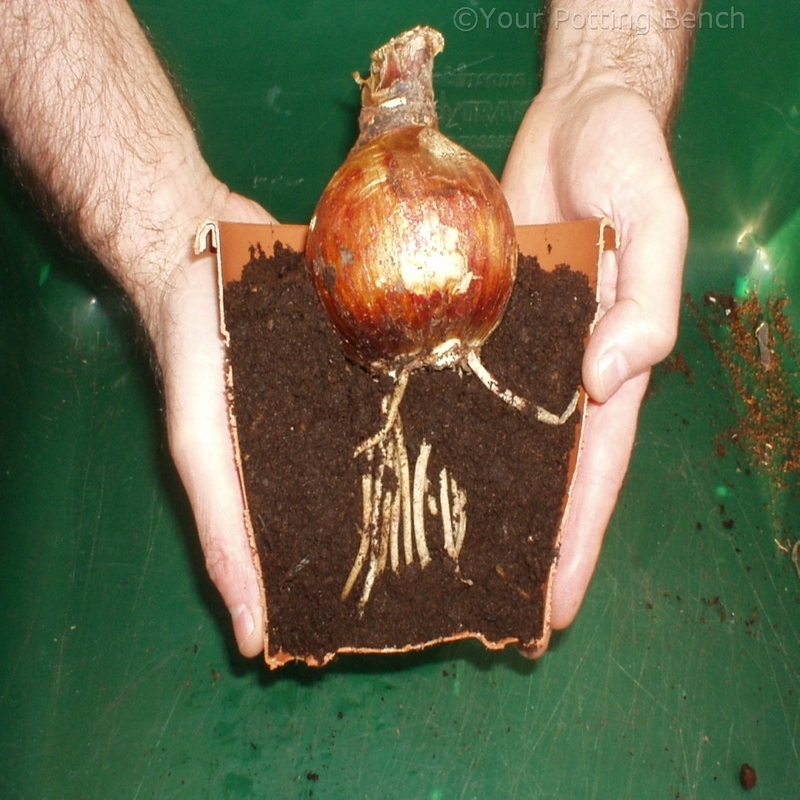 This is a bulb that enjoys heat and light, so the top half of the bulb should sit above the surface level of the compost.